Dante has been playing saxophone for 13 years and singing his whole life. He discovered his passion for performance by getting involved in high school theater and jazz band. After eight years of classical and jazz saxophone lessons. 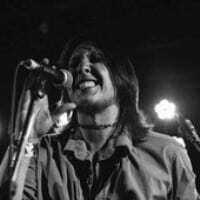 Dante has since gone on to be the president of his college acapella group, sing lead vocals and play sax for two Minneapolis-based rock bands, and perform at venues around the Midwest. Dante graduated from the University of Minnesota in 2016 with a bachelor’s of science in Plant Science, but now is aspiring to make music his career. His teaching style focuses on improvisation and creative musical thinking, something which he believes is crucial to finding enjoyment in music performance.